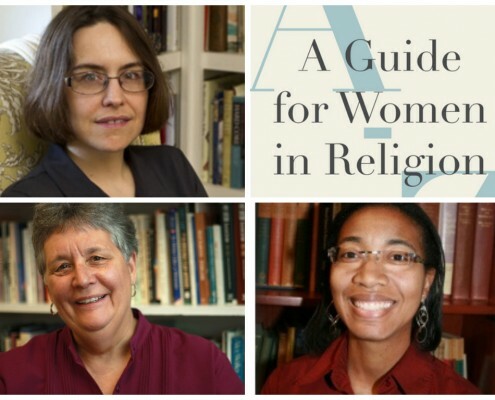 Kecia, Mary, and Monique will discuss their new book, A Guide for Women in Religion: Making Your Way from A to Z. The Guide is a welcome companion for women in religious studies. This second edition is updated to reflect the rapidly changing field. Kecia Ali is Associate Professor of Religion at Boston University. Her books include Sexual Ethics and Islam: Feminist Reflections on Qur’an, Hadith, and Jurisprudence (Oneworld 2006), Marriage and Slavery in Early Islam (Harvard 2010), Imam Shafi‘i: Scholar and Saint (Oneworld 2011) and The Lives of Muhammad (Harvard 2014), about modern biographies of Islam’s prophet. Ali received her Ph.D. from Duke University and held research and teaching fellowships at Brandeis University and Harvard Divinity School before joining the BU faculty in 2006. Mary E. Hunt is a feminist theologian who is co-founder and co-director of the Women’s Alliance for Theology, Ethics and Ritual (WATER) in Silver Spring, Maryland, USA. A Catholic active in the women-church movement and on LGBTIQ matters, she lectures and writes on theology and ethics with particular attention to liberation issues. She is an editor of A Guide for Women in Religion: Making Your Way from A to Z (Palgrave, 2004) and co-editor with Diann L. Neu of New Feminist Christianity: Many Voices, Many Views (SkyLight Paths, 2010). Monique Moultrie is Assistant Professor of Religious Studies at Georgia State University. She is currently a Ford Foundation Postdoctoral Fellow at Harvard University where she is completing a book manuscript on womanism, black female televangelists, and faith-based sexuality ministries. 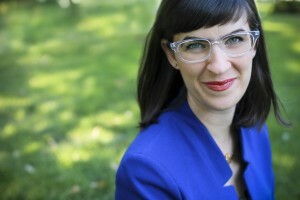 She specializes in sexual ethics, African American religious traditions, and gender and sexuality studies. Her next project is focused on black LGBT religious leadership. A Guide for Women in Religion, Revised Edition (Palgrave 2014), particularly the Introduction which will be sent as a PDF to those who register. https://www.waterwomensalliance.org/wp-content/uploads/Guide-e1416412453778.jpg 263 350 waterstaff http://www.waterwomensalliance.org/wp-content/uploads/Screen-Shot-2018-11-01-at-12.15.34-PM.png waterstaff2014-11-04 16:56:272016-03-24 15:49:12December 3 WATERtalk, "A Guide for Women in Religion"